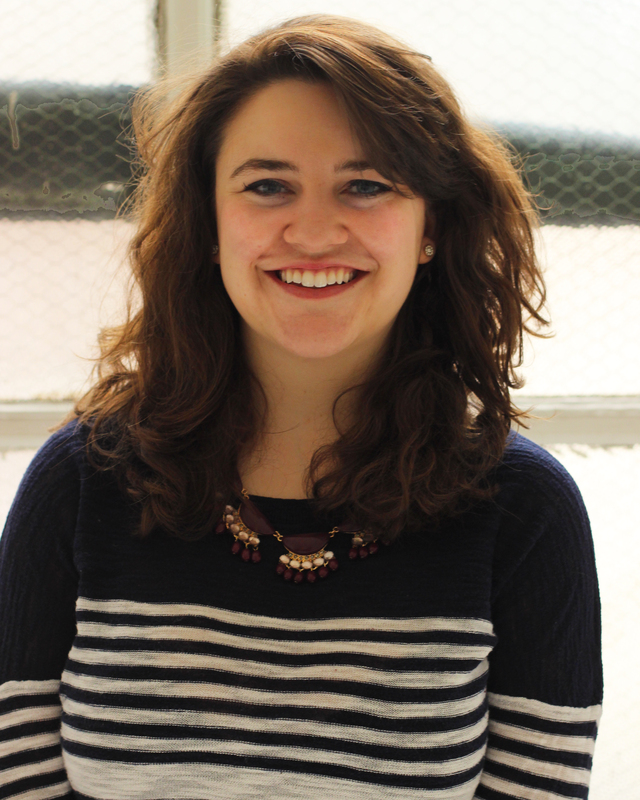 Reading several of my fellow ensemble members’ Tuesday Thoughts, I have noticed a recurring theme: creative rediscovery and rejuvenation. Now, I don’t want to be the one to end a good thing, so I’m going to talk about that as well. And what is that for me? I got to start editing again! On Valentine’s Day of this year, we launched our podcast network, CPT Broadcast. 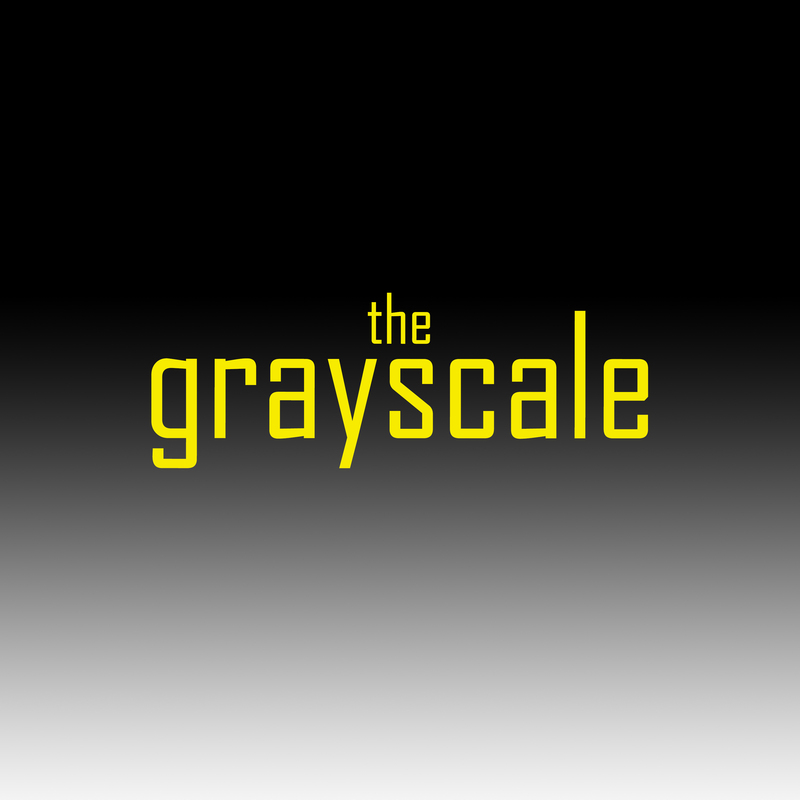 I’m the production manager for all of our shows, but I’m also the editor and sound designer for The Grayscale, our fictional anthology series. 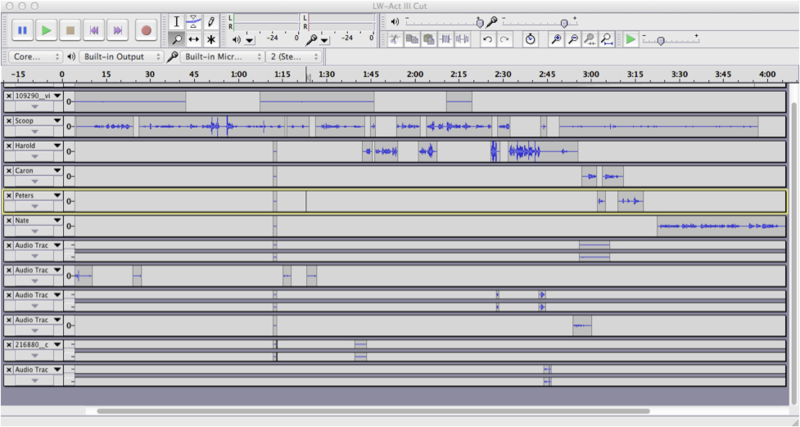 For that show, I get to take anywhere from 3 – 8 hours of footage and condense it down to a 20-minute radio drama. With each new episode, I get to work with new voices and build new worlds. I have a wonderful time. Eventually, I’ll talk about the process of creating a Grayscale episode… But I can’t talk about my love of editing until I’ve talked about my love of puzzles. I started doing puzzles at a very young age. These puzzles were usually pictures of cute kittens in cute flower pots, cute baskets, and cute hammocks. I loved finding the pieces, putting them where they belonged, and forming a complete picture. It felt a natural progression when I started creating the song mixes for my high school dance team. I moved beyond two-dimensional images of kittens on cardboard to a whole other world of audio puzzles. In college, I got to work on puzzles I could see and hear by editing short films. 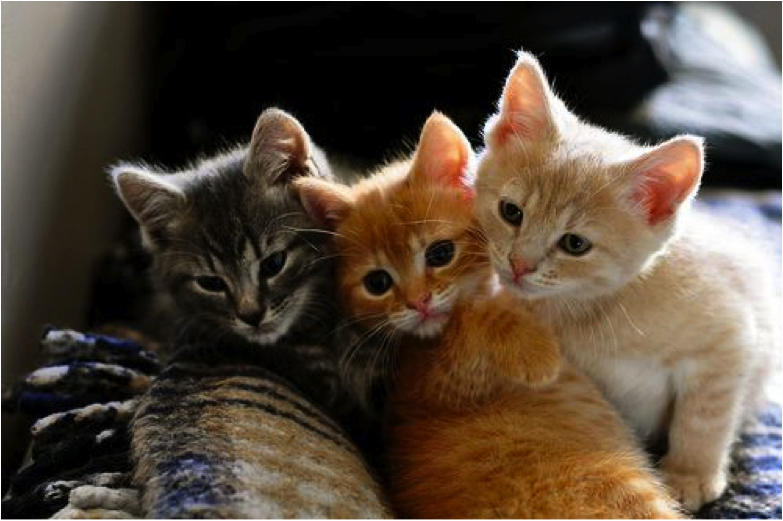 I was no longer putting together a picture I saw on a box – I was creating the final product myself. After graduating from college, I didn’t edit anything for about two years. I went back to my regular 2-D puzzles, but I missed the complexity and the creativity of editing audio and video… and then The Grayscale came along! When I’m deep into work on The Grayscale, I spend several weeks living in my editing software. I sit with my noise-cancelling headphones over my ears, listening to a handful of phrases over and over again. Editing an episode of The Grayscale takes a lot of planning, time, discussion, and debate. What needs to sound realistic? What doesn’t? What motifs can we create that will tie the episode together? What motifs can we create that will tie this episode to other episodes? It’s a lot to think about. A significant amount of this happens in post-production. But first we must record! 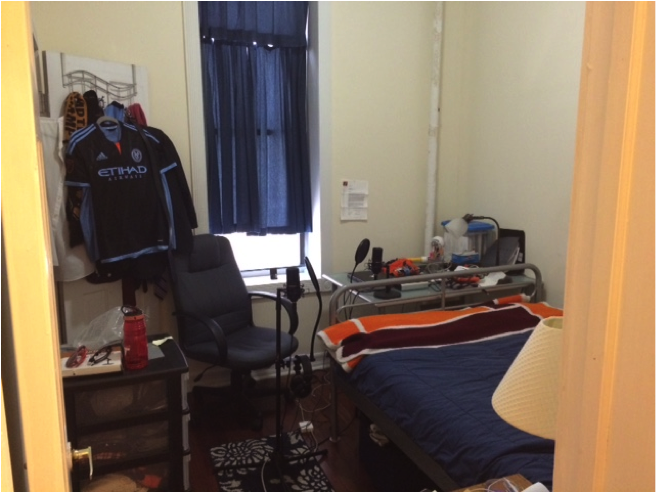 We record our episodes in a place that we lovingly refer to as The Sweatshop (formerly known as Andrew Terrance Kaberline’s bedroom). 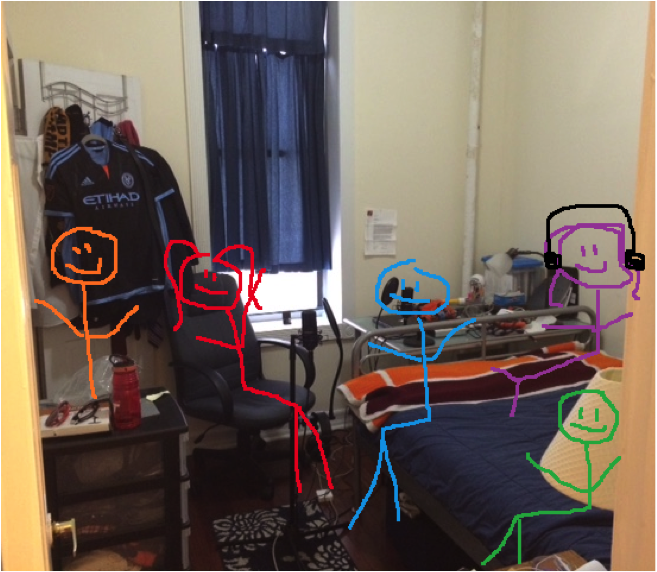 AFTER – That’s me in the purple, with the headphones. These recording sessions take a while. It gets hot. We have to pause every so often to wait out sounds of ambulances, pipes, footsteps, and that adorable little girl next door that just screams all the time (for fun, we think). The actors run through the scene twice. Then we do line coverage – that involves each actor saying a single line again and again with a different inflection until the director says to move on. All of this becomes helpful later on; it gives me choices when editing the scenes together. List of sounds for Now, Back to Your Scheduled Programming. Once I’ve listened to all the footage from the recording session and picked out the best takes, I send the director a Vocal Edit – just the actors saying the lines, no sound effects yet. After that’s approved, I move on to sound design. This is where things get real. I start by making a list of any and all possible sound effects and soundscapes the episode will require. I compile link after link from FreeSound.org of potential doors, cars, footsteps, phones, guns, knocks, clocks, what have you. It’s with the sound effects that the puzzle starts to come together. I take the individual sound files and lay them under the vocal tracks. I insert, listen, move, listen, move, listen to the placement of each effect to make sure it matches the pace and rhythm of the episode. Slowly, as each effect, each track, and each layer is added, the world of the episode starts to form. In these past four episodes, I’ve transported actors from talking in The Sweatshop to riding on the subway, running through the forest, baking in the kitchen, and arguing in the office. I’ve gotten to manipulate vocal tracks to make a monster and a robot. I’m incredibly thankful for the opportunity to get back to working on my favorite kind of puzzles. These past few months I have learned a LOT about sound editing. Along the way, I’ve been supported by a great team of writers, directors, and actors that make my job fun, challenging, and creatively fulfilling. I’ve certainly made quite a few mistakes, but I’m working hard to improve with each episode. I think the best is yet to come. A glimpse at the timeline for Act III of The Last Word on Tragedy. What have you got to look forward to the rest of this season? We’re drinking water, fighting with ourselves, inhabiting other planets, counting to ten, tuning into our favorite radio station, going to hell, spreading Christmas cheer, and remembering how to laugh. See you all on the 1st!